K-9 thanks to the following lifesavers for their continued support of our mission. If you are interested in supporting K-9 Lifesavers with your talents, time or donations please contact us. A fun group who love design and the web sphere. Wizards at creating websites that help small business owners establish a lasting and impactful web presence. The team is always on the lookout for exciting projects or a good cup of java. Java-Fueled Design provides K-9 Lifesavers with website design, updates and hosting free of charge. 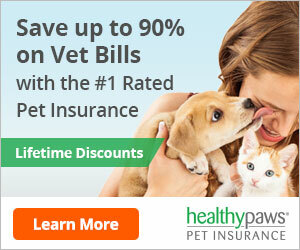 With Healthy Paws Pet Insurance & Foundation, you can give your pet the best medical care possible. Our top-rated pet insurance plan covers everything that matters including accidents, illnesses, cancer, emergency care, genetic conditions, and alternative care. Martingale dog collars, buckle martingale collars, tag collars, side release dog collars, and leashes for any dog. Nylabone donates dog toys and chews for our kennel dogs. Whenever the conversation turns to Real Estate, we hope you remember The Prigal Brothers. A large variety of collars, for pets both large and small, from fancy, fun and bright fabric to more subtle simpler patterns to fit all your pet needs.